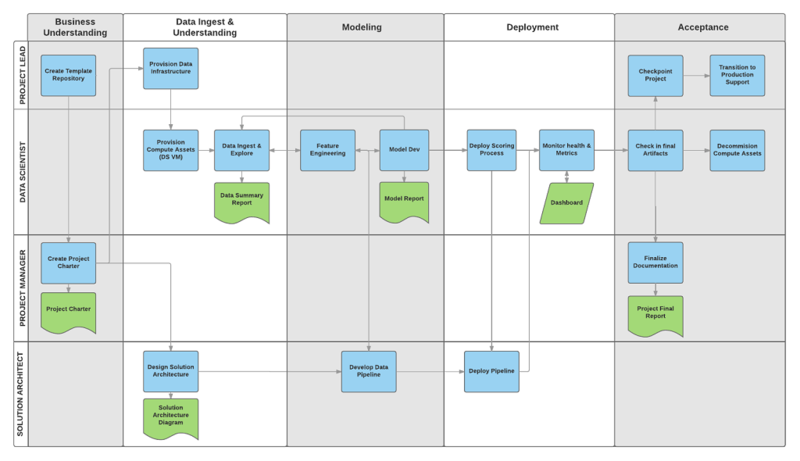 If you are using another data science lifecycle, such as CRISP-DM, KDD or your organization's own custom process, you can still use the task-based TDSP in the context of those development lifecycles. At a high level, these different methodologies have much in common. 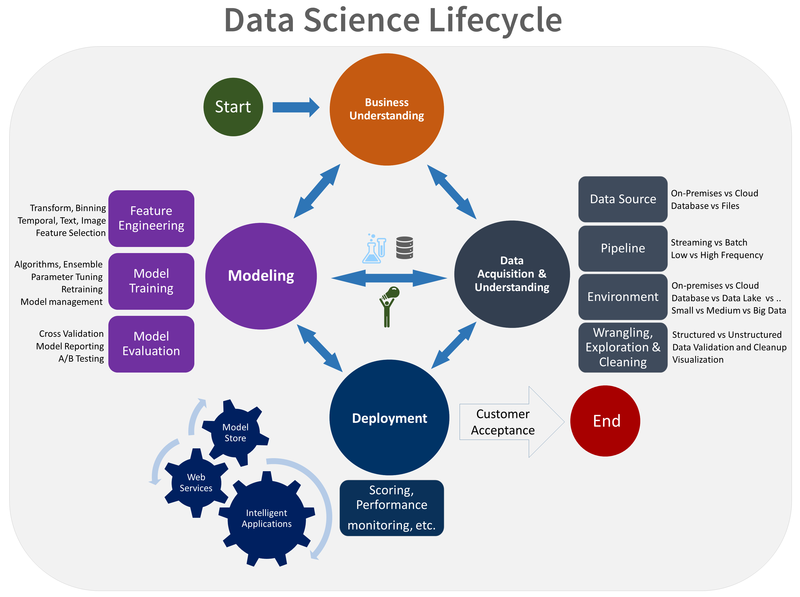 Here is a visual representation of the Team Data Science Process lifecycle. Having all projects share a directory structure and use templates for project documents makes it easy for the team members to find information about their projects. All code and documents are stored in a version control system (VCS) like Git, TFS, or Subversion to enable team collaboration. 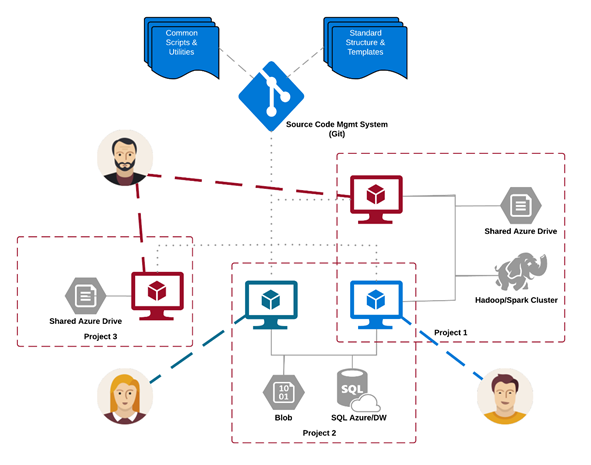 Tracking tasks and features in an agile project tracking system like Jira, Rally, and Azure DevOps allows closer tracking of the code for individual features. Such tracking also enables teams to obtain better cost estimates. TDSP recommends creating a separate repository for each project on the VCS for versioning, information security, and collaboration. The standardized structure for all projects helps build institutional knowledge across the organization. The analytics and storage infrastructure can be in the cloud or on-premises. This is where raw and processed datasets are stored. This infrastructure enables reproducible analysis. It also avoids duplication, which can lead to inconsistencies and unnecessary infrastructure costs. Tools are provided to provision the shared resources, track them, and allow each team member to connect to those resources securely. It is also a good practice to have project members create a consistent compute environment. Different team members can then replicate and validate experiments.